Today we caught the most fish so far this summer at the Children's Museum. We caught 5 total -- 4 herring and 1 small pier fish. It is ironic that we captured so many herring, because we used herring as bait. The sabiki works magic. I have never seen so many fish caught on the same line. A sabiki is a line that has 5 small hooks on it. 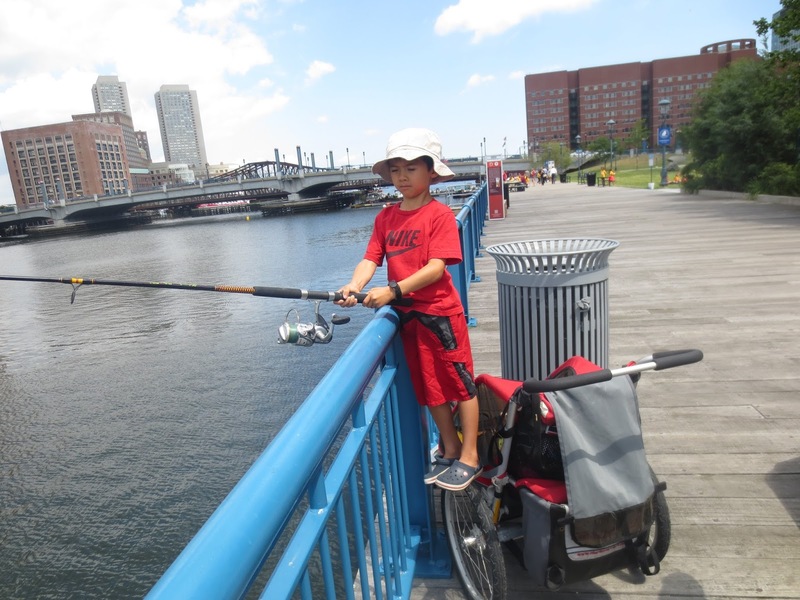 It is easy to catch fish because the small pier fish are easily captured by the small hooks. One family caught three of the five fish we had to display to the other families; this family stayed at the Children's Museum all day. While everyone was catching fish I was on the public dock across the channel. 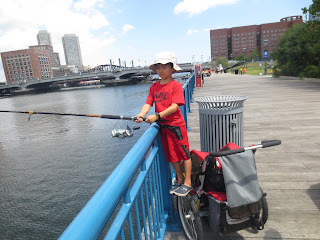 This was the first time I had used the public dock while at the Children's Museum; I didn't even know you could use it for fishing! It's not that easy to get there because you have to go under a bridge and then down a walkway/loading dock to reach the dock; I think that's why not many families came over to me. It was not as fun as I thought it would be, because there was no shade and no fish. I am not too happy about other people catching fish while I did not catch anything. I feel like the fish know when I have the rod and they swim away from me. Monday is staff day and I'm excited to go back to Spectacle Island and redeem myself at wiffle ball. I hope I'm on Carolyn's team so we win.